- ACCURACY : ± 2 F.S.D. • USB based ISP Programming facility. educational trainers for educational lab and teaching equipment supplies. - Driver and driven ends have provision to measure the speed when it is running. 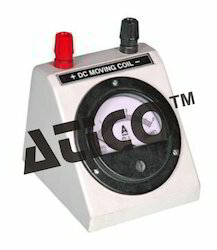 - 125 watts, foot mounted, S4 AC/DC motor is couple with gearbox unit driver end. - Speed ratio: 1/25 (approx). - 0.1 – 1.0 Hp Capacity variac. Schneider Electric partner in education to prepare the future of young generation. Glass Agencies are manufacturer of Zener Doide Characteristics Apparatus Forward and Reverse. CASE : : Clear Transparent Front Cover. ACCURACY : : Class± 2 F.S.D. SCALE LENGTH: : 85 mm(approx.) with Knife Edge Pointer and anti parallax mirror scale. DESK STAND: : Front Terminal Unbreakable ABS Black. The apparatus is provided with five linkages and connectors, having hooks to which pans are hung. These are fixed between two pulleys around which rope is run to connect to two extension type spring balances. The unit is very useful for the study of arches, abutments and piers. The wooden rectangular beam is fitted with scale. Without weights.